Help Engineer UVA’s Third Century - Join the Thornton Society! UVA Engineering is making its mark as one of the most innovative, forward-thinking engineering schools in the nation. Thornton Society members make an immediate impact through their gifts and help achieve this vision. 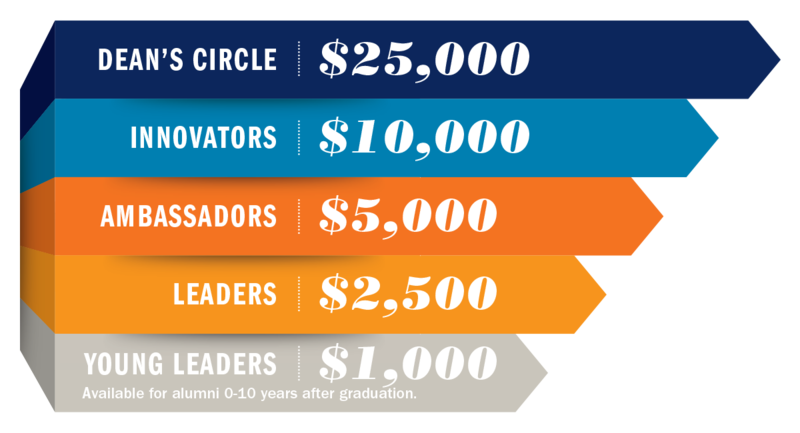 The Thornton Society is a community of UVA Engineering’s most loyal and generous supporters. Through unrestricted investments, Thornton Society members empower UVA Engineering to tackle complex technological challenges facing our society. Philanthropic support fuels our work to enrich the undergraduate experience, elevate the graduate program and accelerate discovery. Please see information on our five recognition levels below, click here to make your gift online or view a list of ways to donate here. Have questions? Contact Anna Hodges, Director of Annual Giving and Strategic Initiatives.